This has been a very satisfying month for me, with two major gains. One, the induction of new Dastangos and two, the performances we put up for children at the Bookaroo festival in Delhi. The October workshops in Bombay threw up seven serious apprentices with whom we worked closely in November. Rasika Duggal and Rajesh Kumar worked on the Mehtab Jadu story as a pair and Rana Senger and Sheikh Usman prepared the Aazar Jadu story. Meanwhile Stuti, Sunil and Manu Dhingra continued to rehearse. Rajesh and Rasika debuted at the Prithvi Festival on the 12th as part of the Platform performance and acquitted themselves wonderfully. It was their first performance and I think they did better than Himanshu and I had done on our debut way back--on 4th May 2005 to be precise. It was a good house at Prithvi, about a hundred and twenty five people and the first time for many of them. I am grateful to the legendary filmmaker Kamal Swarup, Shama Zaidi, Atul Tiwari and others who turned up to encourage them. Then on the 15th Rana and Usman, along with Rajesh and Danish, made their debut at the Bandra Festival in the soon to be transformed Pioneer Hall. There were some eighty to hundred people there in what is a challenging space for a performance. In spite of the chaos and the last minute preparations the show went off quite well. So well in fact that those who have not seen a previous performance had the same wondrous response as the one we are used to. A documentary filmmaker Mini Vaid who saw it for the first time was so taken up that she wanted to make a film on it and there were others who thought it was fabulous. 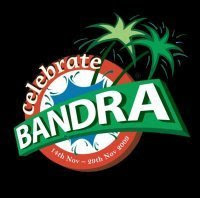 Bandra festival in fact then asked for a repeat performance and Rasika and Rajesh performed the Mehtab Jadu story on the 25th last. To my immensely greater satisfaction they did this when I wasn't even around. So three shows by debutants in one month. And now we have just finished with two back to back shows in Delhi taking the total count for shows this month to six, the maximum that Dastangoi has achieved in a month so far. Our two shows at Bookaroo were a nerve wracking time for me. We were performing for children in this manner for the first time (there have been two shows before this, one for the Spastic Society which I did on the steps of Jama Masjid, way back in 2005/6 and one for children of an Old Delhi school) and I was very apprehensive about how they would receive it. The first show, on the 27th morning, at the Sardar Patel Vidyalaya was aimed at children from classes tenth and eleventh of four schools, Amity, Vasant Valley, Bluebells and Sardar Patel. We chose the Dhobi story, where Amar wreaks havoc at Hairat's city, because it was in a simpler language and not so 'adult.' It was a huge cavernous space, more like a hangar than an auditorium and we had only one floor mike, but it went off alright. Of couse they shuffled and chatted and were slightly restless but a fair few of them were with the story and seemed to enjoy it well enough. It was actually a big success. At least six hundred more people got to learn of Amar Aiyyar and Amir Hamza and Dastangoi and a large number seemed pretty thrilled at it. The show today, on the 28th this being Baqrid, was at Sanskriti Anandgram and I was actually shitting bricks when I reached there and saw the toddlers and the anarchic young spirits who were gambolling about. How would we hold them, with our Urdu and with their English! We had chosen to perform a story from the one volume Hamza Dastan, not the usual Tilism-e Hoshruba, relating to Amar and Hamza;s Madarsa days. Mulla, Madarsa, Alif-Bey, nothing was familiar to them. The good thing was that of the hundred and twenty people there, the majority were parents and distractedly, some very pretty mothers. The children were mostly five six years old, though and I doubt if anyone, other than television and Shinshan, can hold their attention for very long. So I started very skeptically and like at Sardar Patel, tried to crack a few joked to get their attention. The mikes got in the way because the lapelles started going off but we chugged along. We had decided to dash through the whole story and not worry too much about the response. While the adults were having a gala time at Amar Aiyyar's cruelty to his Mulla, the children were a bit listless. There were a couple wandering around the stage, while one started talking in the standmike as we were narrating. Bloody anarchists. People meandered in and out but we did manage the undivided attention of about twenty children, who were there right through the story, and of varying ages. Then towards the end when I started making noises and playing the shrill wife we got our first unadulterated (I mean un-adulted) laughter from the bunch. That was very thrilling. The trick was to enthuse them about Amar Aiyyar and it is a pity that we could not get his picture going in time. But I think that by the end of it we did manage to introduce Amir Hamza and Amar Aiyyar to a large number of them and for some, I hope, memorably so. This should open new vistas for us. Performances for children, for schools so that hopefully instead of merely growing up as better citizens they should grow up as better listeners to the Amar and Amir stories, as better patrons for Dastangois. Well if Prithvi Platform performance gave you joy then watch two more Dastangos, Sheikh Usman and Rana P. Senger, debut today at 7 pm at the Bandra Festival at Pioneer Hall, St. John Baptist Road (Near the Barista behind Leelavati Hospital), Bandra, Mumbai. We're grateful for your support and encouragement till date but the party has just begun and surely you'd not like to miss the fun. So, please please join us for some unabated fun. If you have an issue finding the place then buzz me on 099306 52070. At the Prithvi Festival, Prithvi Theatre Juhu, at 8.15 pm. A big occasion for Dastangoi, come and support us. This clipping is from our performance at Jaipur last year and was uploaded on You Tube by a certain Mr. D.P. Agrawal. Further, we have a performance at 6:30 pm on Nov 08, 2009 at the Dastakar Nature Bazaar at the Indira Gandhi National Centre for Arts (IGNCA), Dr. Rajendra Prasad Marg (Near India Gate), New Delhi. Please feel free to join us there. There are few more performances lined up in Mumbai, Delhi and Chennai in Nov and Dec. We'll keep you posted about the same.